Soak the red lentils in water for 1 hour. 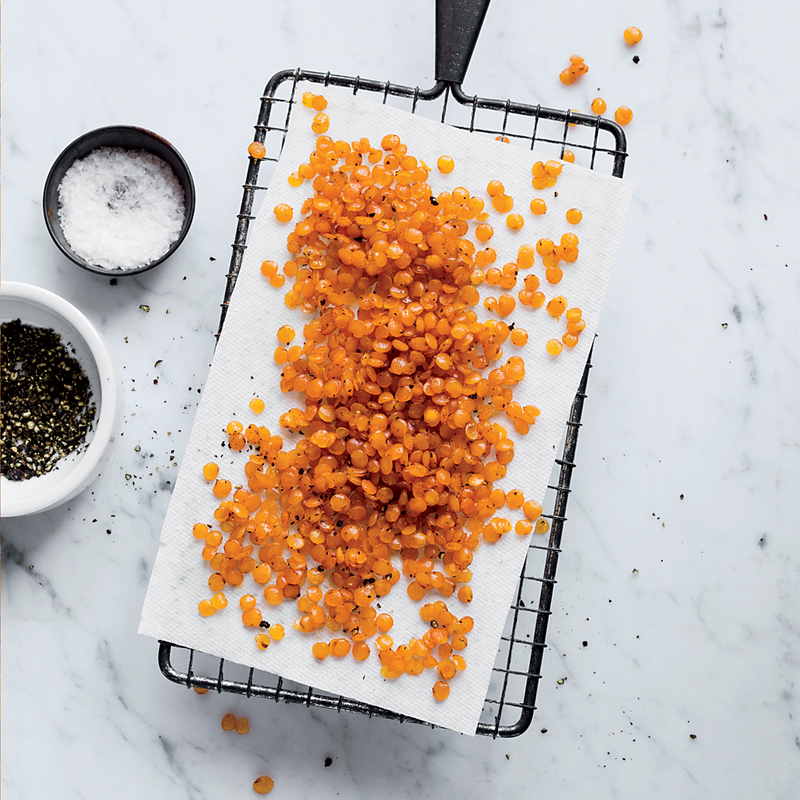 Drain and pat the lentils dry with paper towels. In a large cast-iron skillet, heat 1/4 inch of oil until shimmering. Fry the lentils in batches, stirring, until yellow and crisp, about 2 minutes per batch. Transfer to a paper towel-lined plate to drain. In a small bowl, toss the fried lentils with the paprika, season with salt and pepper and serve.